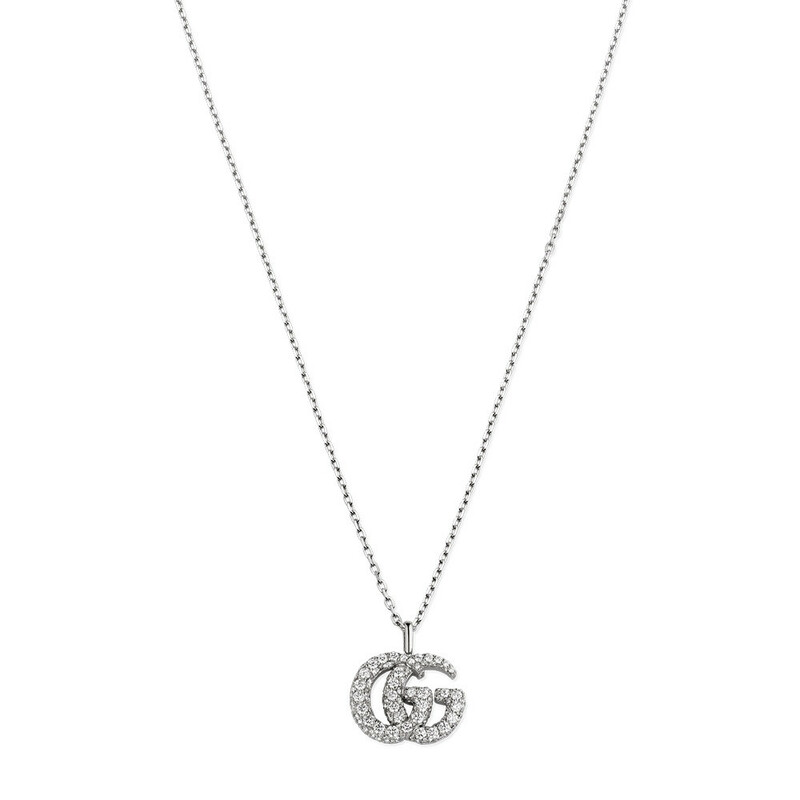 Synonymous with Italian quality fashion, this Gucci GG Running 18kt white gold large necklace exhibits a lustrous elegance that can only be accomplished by the elaborate diligence of skilled goldsmiths. 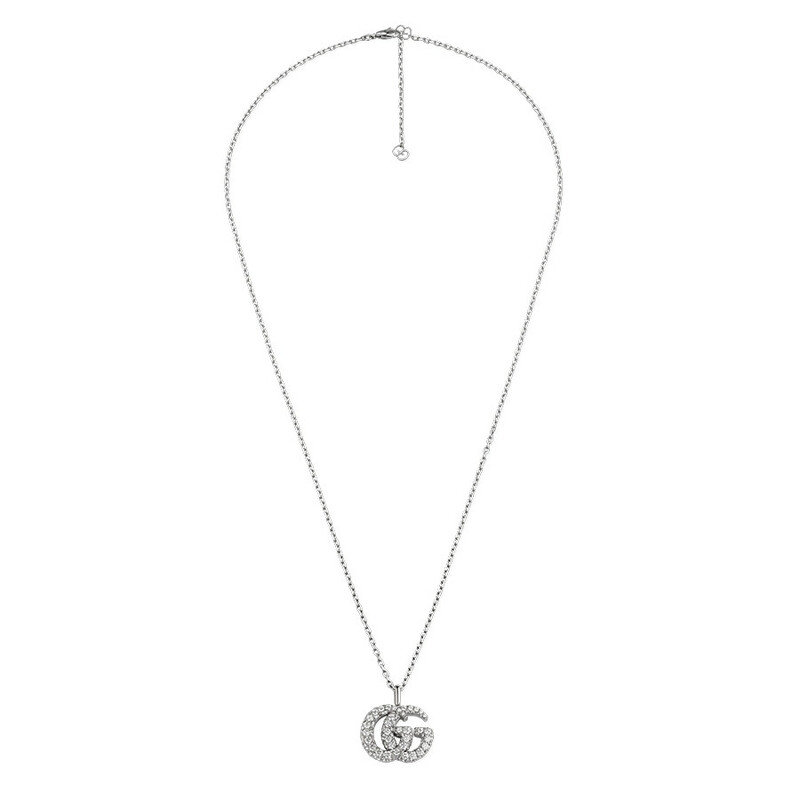 Drawing our focus down a woven chain link necklace, we discover a meticulously crafted GG pendant embedded with luminous diamonds. Discover for yourself, the unimaginable talents of Italian craftsmanship with Gucci Jewelry.